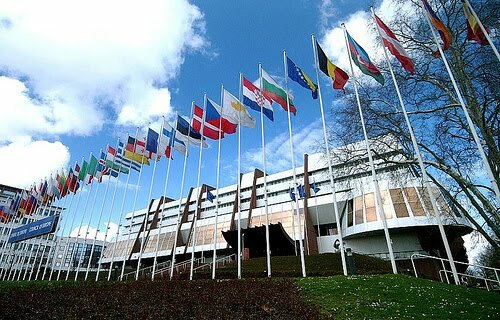 Is the CoE truly interested in protecting human rights? In a time when peace and dialogue is as important as ever, the Council of Europe is demonstrating its unwillingness to constructively cooperate with member-countries of the organization. CoE Secretary General Thorbjørn Jagland has announced a decision to withdraw the participation of his representative in the joint working group on human rights issues in Azerbaijan. Describing his decision, Jagland said that "the overall situation of human rights defenders in the country has deteriorated dramatically." Without citing any concrete argument, he accused the Azerbaijani authorities of increasing the number of human right defenders in prisons. Jagland's statement was met with deep surprise and regret by the Azerbaijani members of the Joint Working Group. "We, members of the Joint Working Group, believe that an intergovernmental organization, instead of running messages of certain circles, should have an objective approach to each and every Member-State, make correct assessment of the positive results achieved within the framework of cooperation, and support dialogue between the civil society and authorities," the group said. The CoE secretary's announcement also disappointed public and political circles in the country, who regarded Jagland's decision as part of the dirty game played by anti-Azerbaijani forces. The CoE was called to foster constructive cooperation, rather than breaking it. If the organization is really interested in ensuring the protection of human rights and the preservation of democracy in the country, it needs to bolster ties. Azerbaijan as a young democracy has always stated its readiness to adopt measures that will protect the rights and freedoms of its citizens. The country has always been open to criticism and is ready to cooperate with all European democratic institutions in this regard. Before making such statements, Jagland was to take in mind that the CoE is not an NGO that can take such emotional decisions. As an organization that presents itself as a true guard of universal democratic values, Jagland would be better off insisting in further interaction in the name of protecting human rights. In 2005, the Joint Working Group on human rights issues, composed of representatives of human rights organizations was established in Azerbaijan. Despite the fact that anti-Azerbaijani forces prevented dialogue between civil society and the authorities in Azerbaijan and succeeded in terminating the activities of the working group, Azerbaijani President Ilham Aliyev demonstrated goodwill to Jagland's offer and agreed to restore the Joint Working Group in 2014. Jagland's groundless decision – taken under the influence of anti-Azerbaijani forces – is believed to affect only the credibility of the CoE as such manipulations cannot create obstacles to the development of human rights and continuing dialogue between civil society and authorities in Azerbaijan.